Most people are well aware that, after a car crash, they’ll need to involve the insurance company if they’re interested in seeking compensation for their damages. However, the same people may be unaware that this task will be difficult to complete. Insurance companies prioritize their bottom line over anything else, which means they will do everything they can to avoid compensating you. To make sure you don’t miss out on the damages you deserve, it’s crucial to know what insurance negotiating tactics to watch for after an accident. To help you better understand these negotiating methods, our team at Craig Swapp & Associates has highlighted some common tactics below. In some cases, you may find that the insurance company simply refuses to communicate with you after you’ve submitted a claim. The insurer may not answer phone calls, return messages, or respond to emails. If you don’t have the assistance of an attorney, you may find that your attempts to recover compensation are completely halted by this tactic. In other situations, you may find that you are, in fact, able to get in touch with the insurance company. However, every time you ask about the status of your claim, the insurer comes up with an excuse to further delay the process of compensating you. The goal of this tactic is to make you so frustrated with the process that, by the time the insurer finally does offer a settlement (which will likely be far less than what you deserve), you’ll accept it without hesitation simply to avoid further communication. Another one of the most common insurance negotiating tactics to watch for after an accident is the lowball offer. The insurer may provide you with a settlement number that is quite obviously a lot less than you deserve, only to insist that it’s the absolute maximum it is willing to pay. If you’re unfamiliar with negotiating for compensation, you may buy into this falsehood, only to walk away with much less than what you need. After your accident, the last thing you should have to deal with is difficulty from the insurance company. 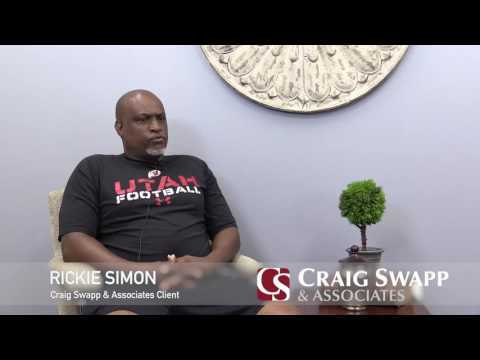 Our team of attorneys at Craig Swapp & Associates is here to assist. Give us a call at 1-800-404-9000 to schedule a meeting with one of our lawyers. You may also fill out the online contact form below.